Yesterday I started doing some research into Melbourne and was inevitably sidetracked by the list of dangerous animals that live in Australia. The most common fact I have been told about Australia is that everything will try to kill me, a lot of my friends have suggested that I’ll likely be eaten by a spider. I can’t say I’m a huge fan of spiders but if they’re smaller than a 5p coin and their legs are in proportion to their body I’ll cope. Oh, wait a second. 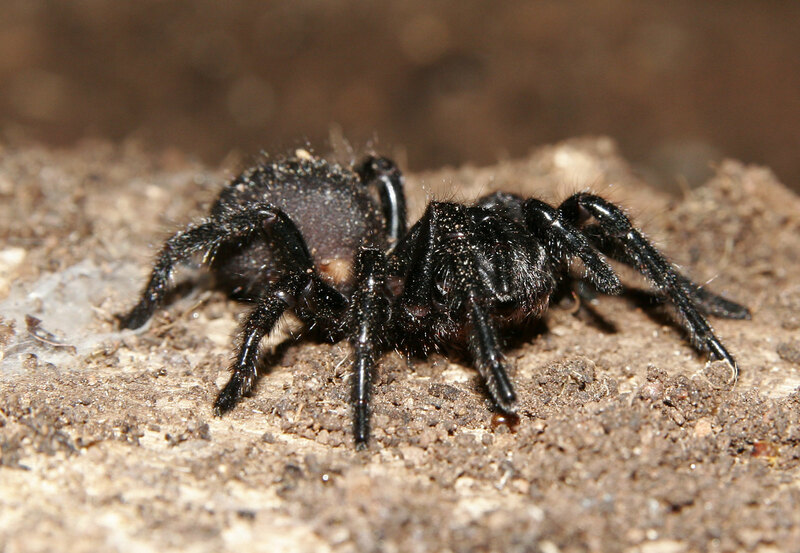 The funnel web spider has fangs that can apparently puncture finger nails. Nope, nope, nope. It’s not all bad though, there hasn’t been a fatality since modern anti-venom has been introduced! Another unpleasant land-dweller that was brought to my attention is the taipan, widely regarded to be one of the planet’s most venomous snakes. Lovely. Fortunately, these fellas are predominantly found in Queensland so I shouldn’t have to be too concerned about them for a while. While we’re on Queensland let’s have a look at those saltwater crocodiles. 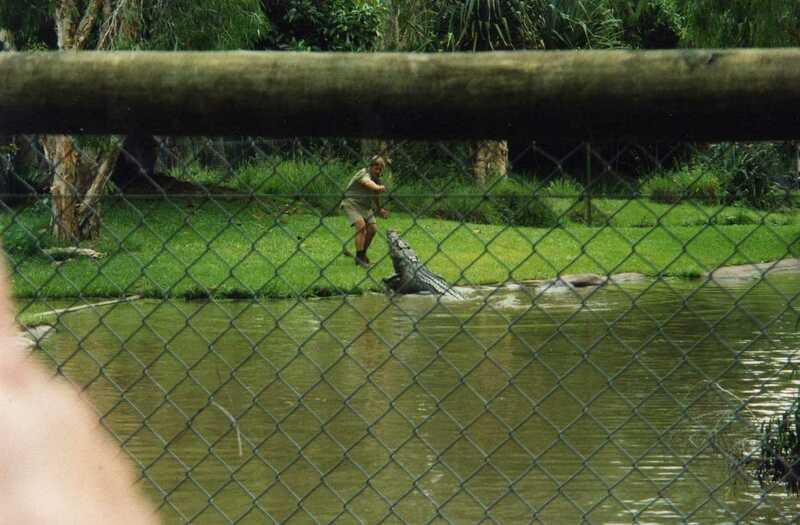 The largest of the reptiles and one more than happy to take on a human. These beasts are well camouflaged on land and in the water and can move at incredible speeds and even have their own signature move, the death roll. I don’t fancy being rolled to death. I’ve been fortunate, if that’s the right word, enough to see a couple of ‘salties’ at the Australia Zoo, home of the sadly departed Steve Irwin. Unlike Steve, I kept at a safe distance and behind a surprisingly unsafe looking fence. The saltwater crocodile leads me to the ocean where I will face certain death at every stroke if I were to swim in it. Three types of sharks that, while not necessarily any more dangerous than your average toaster, could be lurking just off the shore happen to be the most likely to get curious about my seal-like form; the bull, the tiger and the great white. As you’re already aware, I’ve got as close as I’m ever going to want to be with an Australian shark and it certainly wasn’t a threat. As my inquiry progressed I found something which I’d never even heard of before, the blue-ring octopus. Apparently up there as one of the most dangerous marine animals of all time. Even better, there is no known anti-venom and it can definitely kill humans. What a champ. On the other hand, they are seriously cool looking. I’ve heard of the box jellyfish, sometimes known as the sea wasp and had that as pretty good reason never to go in the water but now it’s never happening. Not even once. I jest of course. Whilst I’m on the whole terrified of open water and the chance encounter with any of the above I’m also completely aware of how low that chance is. I’m not one of those people who’s going to sit up inside wrapped in a duvet because doing anything might lead to my eventual death but it sure is great to know about all the interesting, deadly creatures that I might encounter in the not too distant future! ← Essentials: What To Pack?